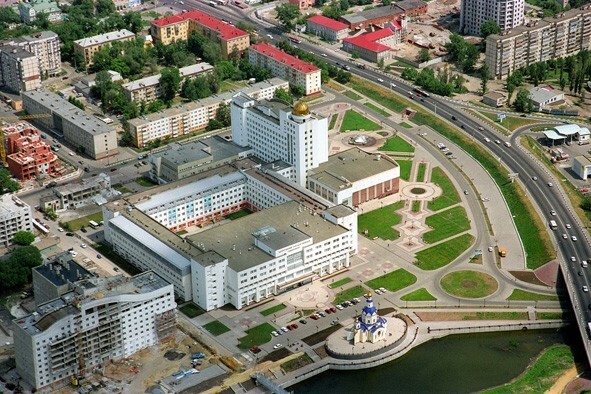 Belgorod is a municipal division and administrative center of Belgorod Region. It is located 695 kilometers from Moscow, on the southern outskirts of the Central Russian Upland, on the right bank of the Seversky Donets River. It is a border town and the center of the contact zone of Russia and Ukraine. Belgrade is a large transport hub where the paths leading from north to south and from west to east of the country converge. There is a large railway station and international airport here. The City Day is celebrated on August 5, as on this day in 1943 Belgrade was liberated from the Nazi invaders. 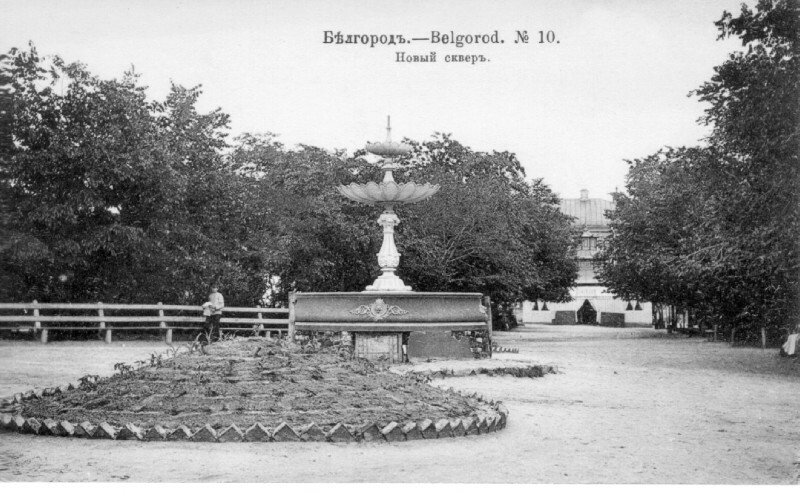 In 1954, after the region formation, Belgorod has become its administrative center. The territory of the city is 153.1 m. km. The city's population is 357,700 people, with representation of about 100 nationalities. In order to honour the courage and perseverance shown by the citizens of Belgorod during the Great Patriotic War, as well as their economic and cultural achievements, on April 9, 1980 the regional center was awarded the Order of the Patriotic War of the 1st class. On April 27, 2007 President of Russia signed a Decree on awarding Belgorod an honorary title of “The City of Military Glory”. 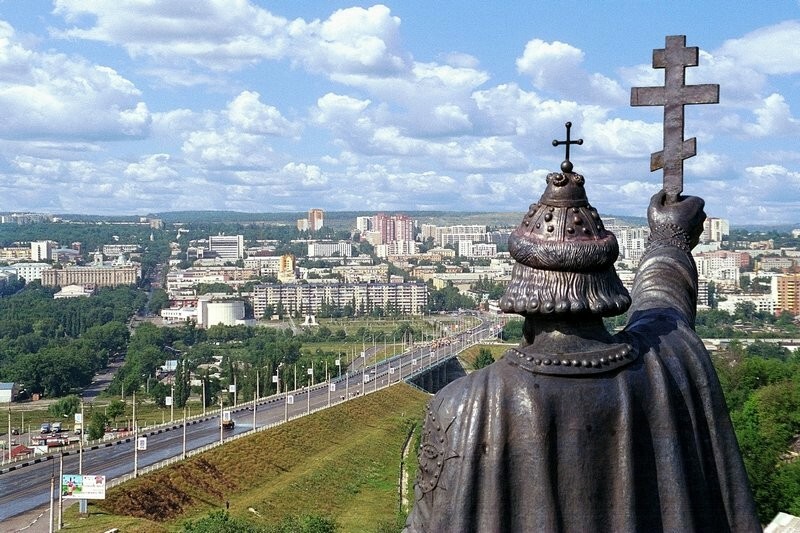 A decision on construction of Belgorod was made by Boyar Duma in 1593, and it is believed that also at that time a settlement was started on the same place where the present-day city was founded. However, Belgorod fortress was ordered to be built by Tsar Fyodor Ivanovich in autumn 1596. The governors M. V. Nozdrevaty-Zvenigorodsky and A. R. Volkonsky supervised the construction. In the Time of Troubles, Belgorod garrison went over to False Dmitry I, and after his death they supported False Dmitry II. In 1612, the fortress was captured and burned down by Poltava Cherkasy (Cossacks) under the command of Prince S. Lyko who came from the Polish-Lithuaninan Commonwealth. In 1613, the fortress was rebuilt by the remaining residents under supervision of the governor N. P. Likharev, but on the opposite (left) bank of the Seversky Donets River. In 1650, Belgrade fortress was moved to the right bank of the Seversky Donets River, to Karpovsky shaft of Belgorod line where there is a city center now. The erection of separate fortresses failed to protect the outskirts of the state from intruders. During the Russian -Polish Smolensk war in 1632-1634, the territory of the present-day Belgorod region was seriously damaged. As a result, the Belgorod line was built; it stretched for over 800 km (425 km of it was on the territory of the present-day Belgorod region, including 10 fortresses: Hotmyzhsk, Karpov, Bolhovets, Belgorod, Nezhegolsk Korocha, Yablonov, Tsarev-Alekseev, Verhososensk, Userd). Fortress construction took place between 1635 and 1658. All the armed forces drawing duty on the Line were subordinated to the Belgorod governor and united into the Belgorod regiment (more than 19 thousand people in 1658). 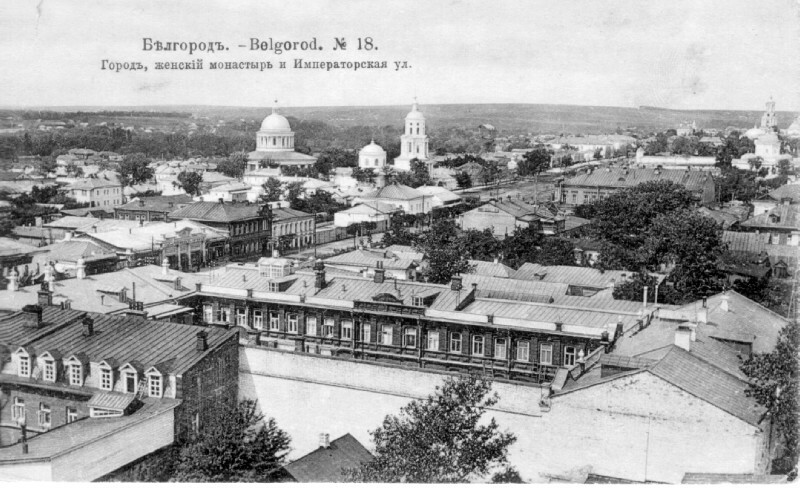 In 1667, the Belgorod diocese was opened there. In 1708-1727, the area of the present-day Belgorod region was part of Kiev and Azov provinces. In 1727, by decision of the Supreme Privy Council Belgorod province was created. In 1777-1779, the territory of the province was divided between the newly formed Tula, Slobodsko-Ukrainian, Orel and Kursk provinces. At a later time, the area of the present-day Belgorod region was part of Voronezh and Kursk provinces (1796-1928). In the 19th century, processing industry and manufacture of building materials for local needs was developed in this area. Only chalk and lime plants exported its products outside of the region. Korochansky county became a national center for manufacturing and processing of horticultural products and berries. September 4, 1911, by decision of the Holy Synod of the Russian Orthodox Church, approved by the emperor, the Belgorod Bishop Josaphat (Horlenko) was canonized, who deceased in 1754 and was buried in the crypt of the Belgorod Holy Trinity Cathedral. During the First World War the first Polish infantry reserve regiment was stationed in Belgorod, where there were as many as 20 thousand people. After the signing of the Treaty of Brest-Litovsk, by April 1918 German troops occupied Graivoronsky, Belgorodsky, Valuisky, Biryuchansky, Novooskolsky and partially Korochansky counties. Until January 1919, these territories were part of the Ukrainian state led by hetman P. P. Skoropadsky. In 1919, the south of the region saw battles between the Red Army and the Armed Forces of Southern Russia. The territory of the present-day Belgorod region became part of the newly formed Central Black Earth Region (14 May 1928), and on June 13, 1934 it was divided into Voronezh and Kursk regions. In the 30-40s of the 20th century, commercial development of iron deposits of the Kursk Magnetic Anomaly was started. During the Great Patriotic War of 1941-1945, the region was occupied by German troops (1941-1943) and liberated in the course of the Battle of Kursk in 1943, during which Prokhorovka tank battle of 1943 occurred. On 06.01.1954, by the decree of the Presidium of the Supreme Soviet of the USSR Belgorod region was formed. It was composed of 23 Kursk region districts and 8 Voronezh region districts with a total area of 27.1 thousand sq. km. and a population of 1 mln. 227 thousand people (on census of 1959). Belgorod region was awarded the Order of Lenin. In 1980, it was also awarded the Order of the Patriotic War of the 1st class for courage and perseverance shown by the city workers during the Great Patriotic War and for economic and cultural achievements. In memory of the tank battle at Prokhorovka on the Third Military Field of Russia, Prokhorovsky, Victory Monument was erected – Zvonnitsa (Belfry), while in the village itself public donations helped to build the Church of the Holy Apostles Peter and Paul. At this location, on the eve of the 55th anniversary of the Victory Day in the Great Patriotic War, with the blessing of Patriarch of Moscow and All Russia Alexy II, the presidents of Russia, Ukraine and Belarus hit the Bell of the Union. Today, the region is well-known for the diligent and dedicated work of many Belgorod generations who made a significant contribution in the country's economy growth. 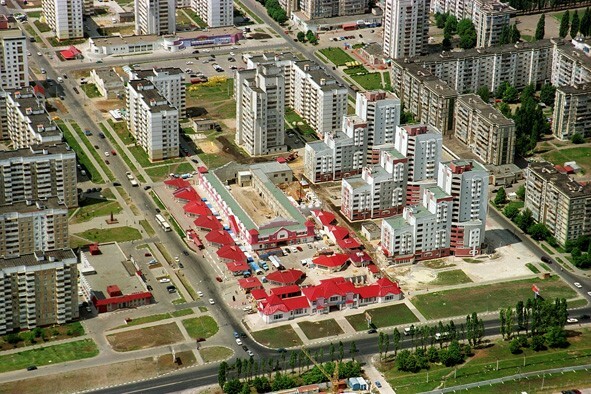 Belgorod region has a stable leading position on many social and economic indexes in Russia. It has a solid economic, scientific and technological potential generated, as well as a social and cultural sphere developed. Public transport – 15 rubles. Student travel pass – 200 rubles. Belgorod Academic Drama Theatre named after M. S. Schepkin was founded in August 1936. The theater is named after a native of Belgorod, a prominent Russian actor and founder of realism in Russian dramatic art – Mikhail Semyonovich Shchepkin. Belgorod State Museum of Local Lore and History is one of the oldest cultural institutions in the region. It was opened on October 25, 1924. A special exhibition part plays its historic section which tells about the local events from ancient times to the present day. The exhibits include archaeological monuments of Scythian and Saltovo-Mayak culture, records on the occurrence and role of Belgorod in the Russian history and materials on the most important events of the past occurred in the region and prominent natives of Belgorod. Belgorod State Art Museum is one of the youngest art museums in Russia. It was opened to visitors on July 26, 1983. Today the museum has about 4,000 paintings, drawings, sculptures, icons, arts and crafts. 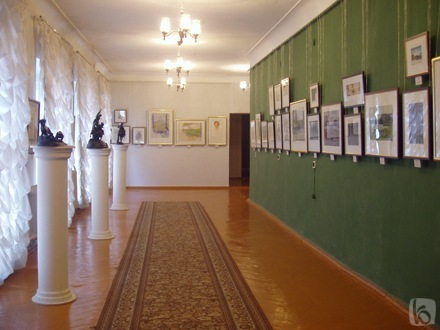 A specific feature of Belgorod State Art Museum is that it mainly represents Russian (Soviet) art of the 20th century. A chronological collection covers the period from the first decades of the 20th century to the present day. It gives an overview of the main development stages of Russian art and contains a number of significant works created by famous artists of this period. The collection’s jewels are the works of Z. E. Serebryakova, G. M. Shegal, A. V. Kuprin, B. V. Shcherbakov, V.I. Ivanov, V. F. Stozharov, S. S. Molodyh, A. P. and S. P. Tkachev. Belgorod Literary Museum is found in “Selivanov’s House”, one of the oldest buildings in the city which is an architectural monument of federal value built in the 18th century. The exhibition features more than a thousand exhibits. The exhibits reflect the features of literary process in Belgorod of 18th-20th centuries. One of the halls is dedicated to folk culture and folklore of Belgorod region. The other hall tells us about the history of journalism and literary activity of journalists in Belgorod region. 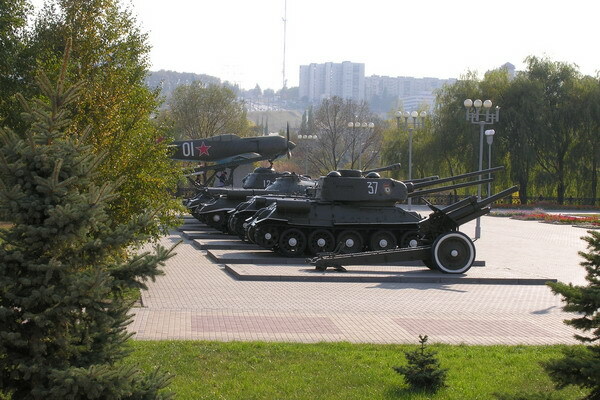 It is the country's largest diorama dedicated to Prokhorovka tank battle (July 12, 1943). The seamless canvas area is 1005 sq. m., while the subject plan area is more than 500 sq. m. It was created by the group of battle painters from M. B. Grekov’s studio: People’s Artists of the Russian Federation N. But, G. Sevostyanov and V. Scherbakov. Belgorod Communications Museum was opened in Belgorod in October 2003. Its opening was timed to celebrate the 100th anniversary of the Belgorod telephone network. The pride of the museum is its collection of telephones made by the world’s leading companies in the early 20th century, rare radios, first national TV-sets KVN-49, speakers, and teletypes. The museum houses more than 3 thousand exhibits. 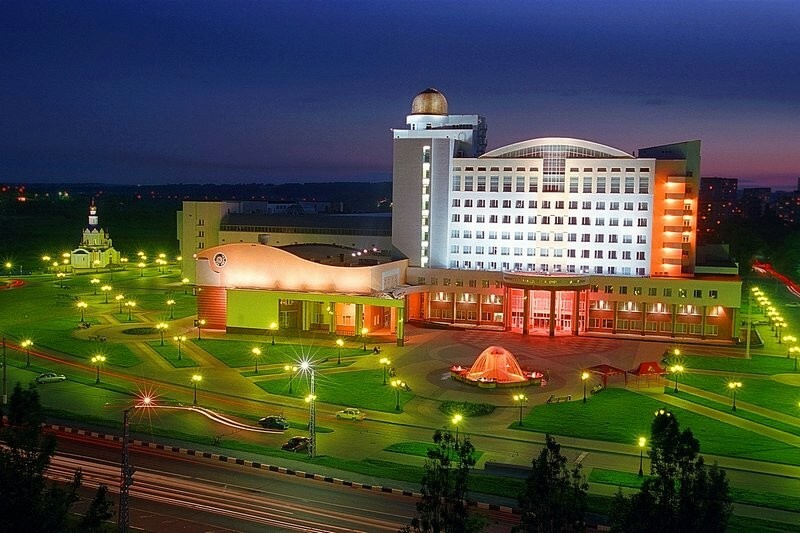 Sundial is located at the intersection of “50th anniversary of Belgorod region” street and the National Boulevard. It is a granite and bronze structure with a dial of 11-meter diameter. During the daylight this sundial tells the time and at night it shows the brightest constellations that are visible in the Northern Hemisphere. 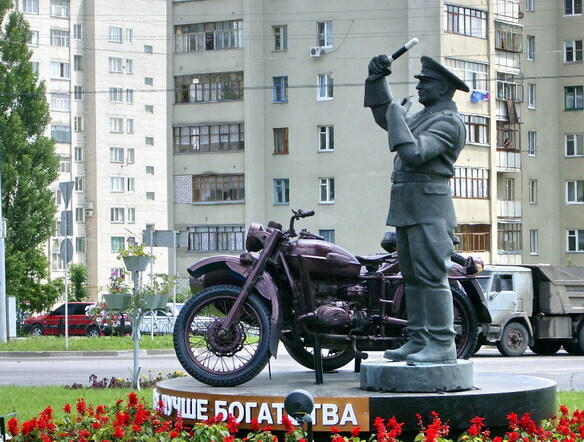 Monument to the incorruptible traffic cop was established on 10 September 2004. The monument is dedicated to Pavel Kirillovitch Grechikhin. In Belgorod he had a reputation of a thunderbolt for the local and visiting reckless drivers. He worked with diligence, did not take bribes and feared nobody, fining for violations with no mercy and not looking at the ranks or titles. He got famous when he fined his own wife. He was always working at the intersection of Popov and Frunze streets. Out of fear, many drivers go around this place even now. Despite his impeccable years of service, Grechikhin retired with the rank of a sergeant. After retirement, Pavel Kirillovitch was forgotten and abandoned and finished his life in the nursing home. Monument to shuttle traders was installed in the center of Belgorod in November 2007. The composition is made of bronze. Its height is three meters. The sculpture was chosen to be put near the central market of Belgorod. 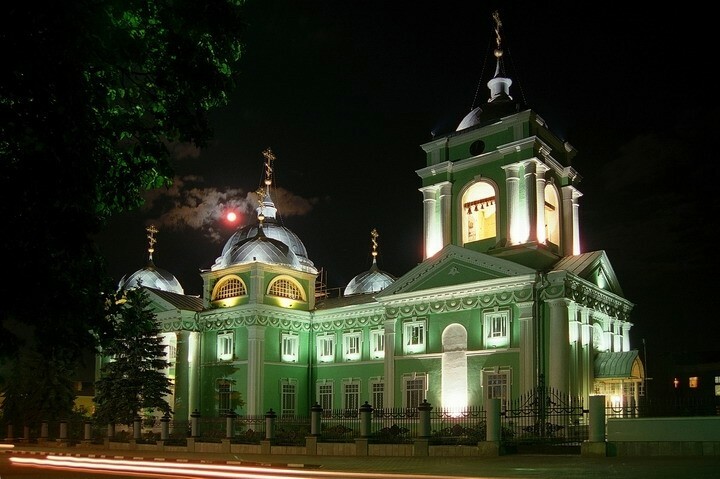 Transfiguration Cathedral is the Orthodox Cathedral in Belgorod, built in 1813. It is the main church of diocese of Belgorod and Stary Oskol. This stone cathedral was built to commemorate the victory of Russian troops over Napoleon; it was consecrated in 1813. Smolensky Cathedral is one of the oldest cathedrals from those survived to this day. It was built on the site where miraculous Icon of Smolensk Mother of God appeared on the wall of the southern city gates in 1703. In 1705, a wooden church was built on this place which later burned down. In 1727, the foundation of a stone church was laid. Uspensky Cathedral of St. Nicholas is the oldest building in the Belgorod region. It is believed that the construction began with the donation made by Peter the Great. Its construction was completed in 1703. In the early 30s of the 20th century the crosses were dropped down from the domes, a unique bell tower was destroyed and the cathedral was changed into jail. Its prisoners were clergymen and ordinary believers who refused to abjure religion. Subsequently, some of them got shot and some people deceased. During the war, the cathedral walls were used by the Germans to shoot Belgorod citizens. However, the cathedral saved a lot of lives during the war. During the Nazi occupation, Belgorod citizens survived hiding from the bombings in the basement of the cathedral. After the end of the Great Patriotic War, the church building was converted into a bakery. And only after almost half a century it was taken under the state protection as a historical, architectural and cultural monument.